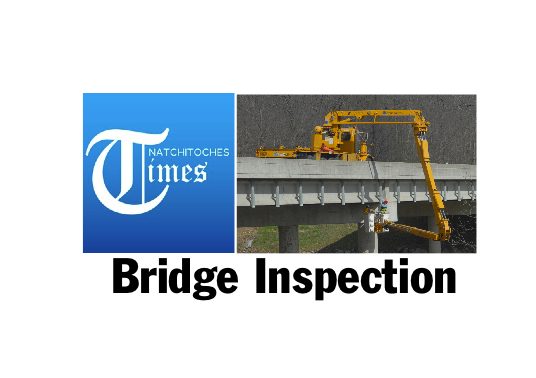 The Louisiana Department of Transportation and Development (DOTD), advises the public that bridge number 115-01-0360-1 will be closed for inspection from 9 a.m.-3 p.m. Tuesday, Feb. 27 and Wednesday, Feb. 28. This structure is on LA 485 over Little River and is located 3.6 miles North of the junction of LA 6. The road will be closed to all traffic while the inspection is performed. Detour will be LA 6 East to I-49 North to LA 485.